Available with threaded or flanged end connections in Carbon Steel, Stainless Steel, Bronze or Cast Iron; for services up to 1480 psi. Y-type line strainers protect your fluid handling system against the damage that can occur to valves, traps and other equipment when foreign matter such as dirt, scale or welding particles travel through the pipeline. Available with threaded or flanged end connections in Carbon Steel, Stainless Steel, Bronze or Cast Iron; for services up to 1480 psi. Strainers feature a machine-tapered seat for a perfect fit of the removable strainer screen; and a blow-off plug that can be replaced with an optional ball valve for inline blow down of dirt, scale, etc. Selected sizes are in stock and ready for immediate delivery. Y-Strainers take their name from their configuration. Y-Strainers are devices for mechanically removing unwanted solids from liquids, gas or steam lines by means of a perforated or wire mesh straining element. Y-strainers are very cost effective strainingsolutions in many applications, where the amount of material to be removed from the flow is relatively small, resulting in long intervals between screen cleanings. The strainer screen is manually cleaned by shutting down the line and removing the strainer cap. 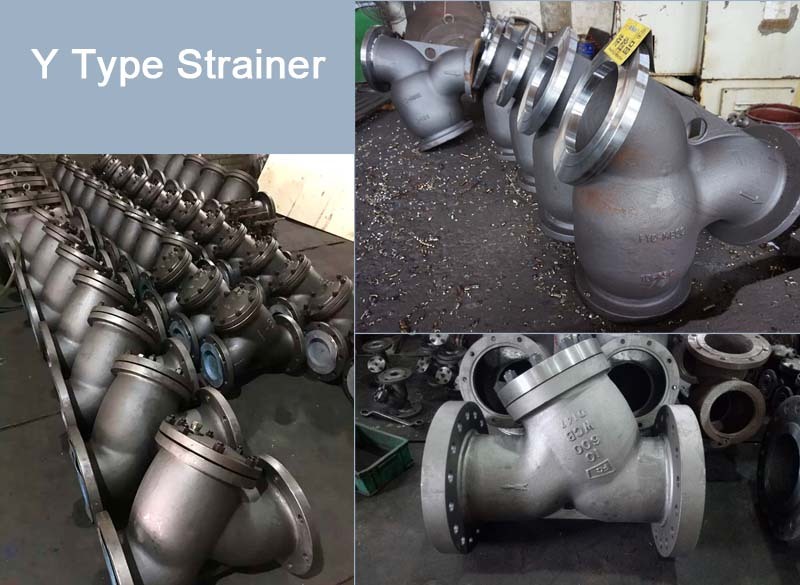 While often used in many different types of liquid applications, a Y-strainer is considered standard for steam applications and is almost universally used for these applications. Its compact, cylindrical shape is very strong and can handle high pressures. It is, literally a pressure vessel. Y-strainers which handle pressure upto 6000 psi are not uncommon. 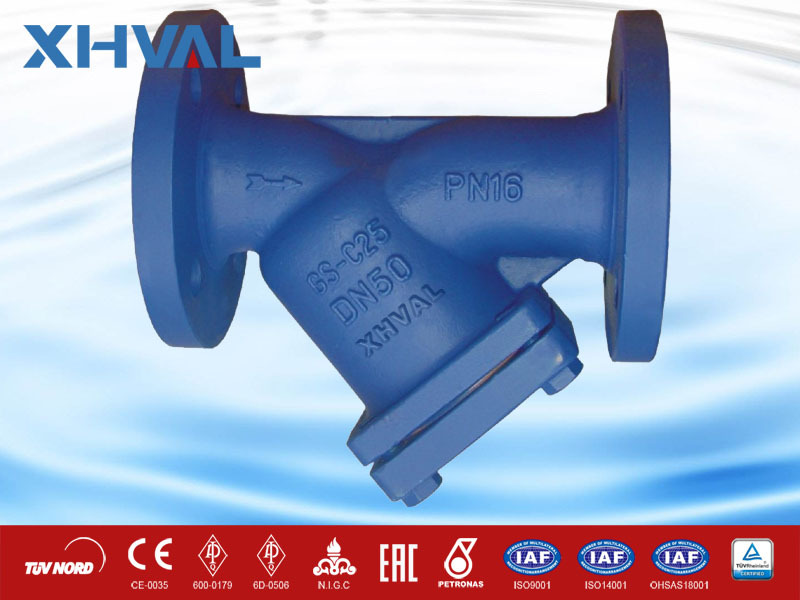 Besides steam, Y-strainers are often used in air or natural gas applications. Here again, high pressures are not uncommon. However unlike steam, high air pressure does not automatically mean high temperature and so, ordinary carbon steel bodies of sufficient wall thickness will generally suffice. 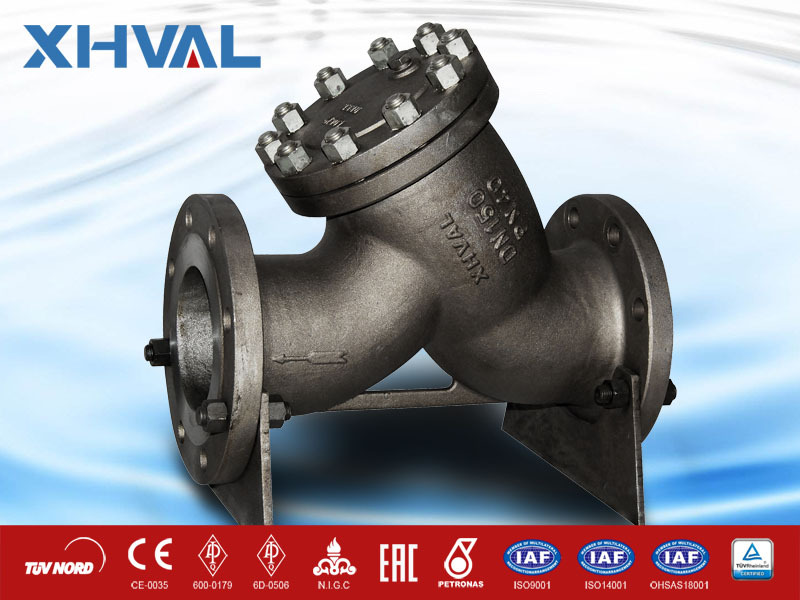 Unlike other types of strainers, a Y-strainer has the advantage of being able to be installed in either a horizontal or vertical position. Obviously, in both cases, the screening element must be on the ‘downside’ of the strainer body so that the trapped material can be properly collected in it. Some manufactures reduce the size of Y-strainer body to save material and cut cost. Before installing a Y-strainer, be sure it is large enough to properly handle the flow. A low priced strainer maybe an indication of an undersized unit. Stainless steel Y-strainers are used where high corrosion resistance or where freedom from contamination is required. They are popular in the chemical, food and pharma industries. Y-strainers are available with a wide variety of end connections including threaded, flanged and welded. Easy cleaning without interrupting the process. Various perforations, mesh or perforation mesh combinations are available to meet your process requirements. Can be installed either in a horizontal or vertical position.